Reviewing cars has its perks. Not just driving a different vehicle every week, but also having the opportunity to request a specific vehicle for a specific occasion. If you’ve been following for a while, you’ll know we usually try to take special vehicles out anytime we’re planning a road trip or a family getaway. For the past few years, I’ve been lucky enough to score some really great family vehicles to haul my wife and four kids around during these times. I specifically asked for the new Expedition this week as it’s Thanksgiving week and we’re traveling with the family. Thankfully, Ford was able to make it happen. My time with this big SUV was spent traveling with the family, giving me even more insight on how this vehicle would be to live with everyday for the average, larger, Texas family. 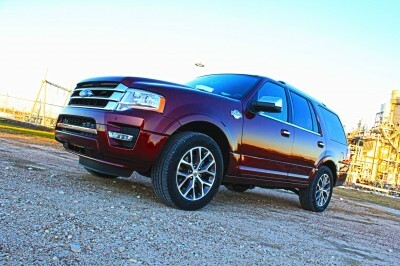 The Expedition is the biggest SUV in the Ford lineup today since dropping the Excursion in 2005. This is the last traditional body-on-frame SUV in the Ford lineup being based off the F-150’s platform. The Explorer is now based on a car platform, the same as the Taurus, and although it’s still a great family vehicle, you’ll actually see more families looking at the Expedition for it’s extra size and capabilities.